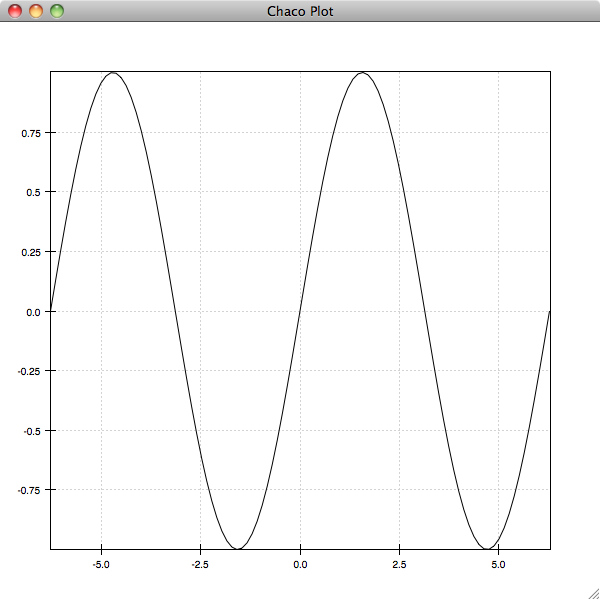 Chaco has an interactive plotting mode similar to, but currently more limited than matplotlib’s. This plotting mode is also available as an Envisage plugin, and so can be made available within end-user applications that feature an Envisage-based Python prompt. 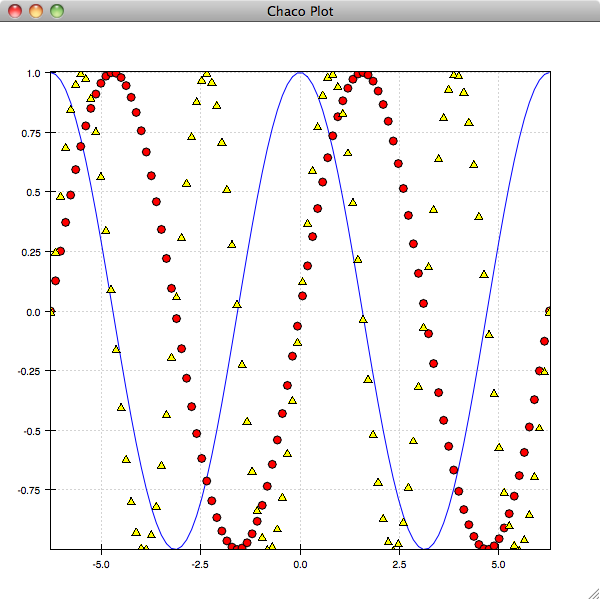 The Chaco shell interface supports a subset of the standard Chaco plots. You can do line, scatter, image, pseudocolor, and contour plots. will plot a pseudo-color image of our sampling of the KDE. * ``yaxis()``: toggles the vertical axis on or off. * ``yaxis(**kwds)``: set parameters of the vertical axis. will switch back to our second window. 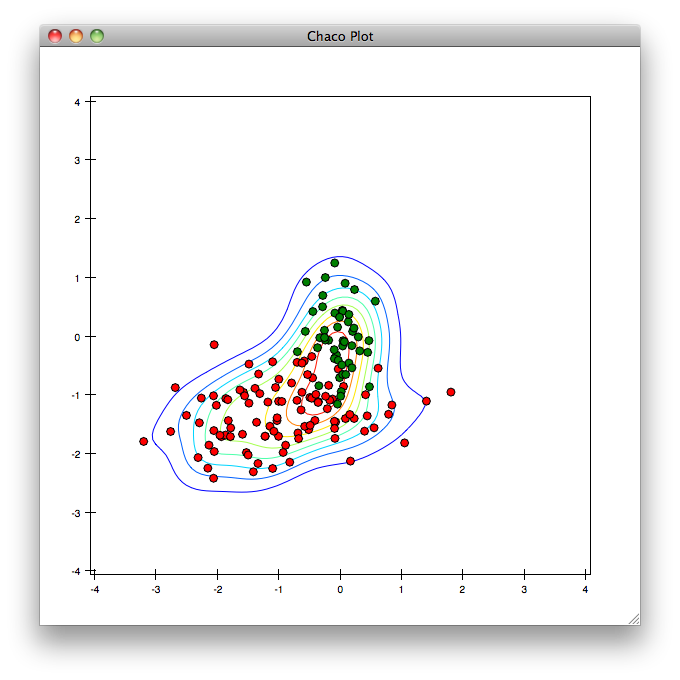 For advanced users, you can get a reference to the current Chaco plot object using the curplot() command. When you have this, you then have full access to the programatic Chaco plot API described elsewhere. Finally, you can use the chaco.shell API from Python scripts instead of interactively if you prefer. In this case, because you do not have ipython around to set up the GUI mainloop with the --gui=wx option, you need to use the show() command to start the GUI mainloop and display the windows that you have created.